Kim Jong Un declared with pride that "now we have finally realised the great historic cause of completing the state nuclear force, the cause of building a rocket power"
American President Donald Trump may have a lot to think about over the next 7 days. The battle line is drawn and the world is waiting for who will fire the first offensive missile. This became the situation after North Korea’s President Kim Jong Un, aka The Rocket Man said on Wednesday that his country had achieved full nuclear statehood after successfully testing a new missile capable of hitting anywhere in the United States of America. This declaration poses a new challenge to US President Donald Trump who has vowed such a capability “won’t happen”. North Korean state television brought out Ri Chun-Hee, a senior broadcaster who only appears for significant developments, to announce the landmark. “Kim Jong Un declared with pride that now we have finally realised the great historic cause of completing the state nuclear force, the cause of building a rocket power,” she said. “The great success in the test-fire of ICBM Hwasong-15 is a priceless victory won by the great and heroic people of the DPRK,” she said, using the official abbreviated name for North Korea. Wednesday’s missile was more sophisticated than any previously tested, state media said. 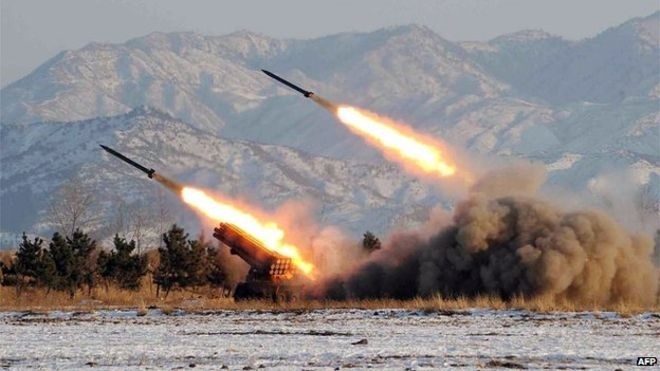 "The ICBM Hwasong-15 type weaponry system is an intercontinental ballistic rocket tipped with super-large heavy warhead which is capable of striking the whole mainland of the US", North Korea’s official news agency KCNA said.